In The Next Together, Katherine and Matthew are destined to be continually reborn to help circumvent major disasters throughout time—before they tragically lose each other again. Alternating between scenes from each of their lives, Katherine and Matthew make appearances from separate classes while trying to stop a Scottish invasion; they are a journalist and his assistant reporting from a war front, scientists who try to prevent the spread of a deadly bacteria. During the Siege of Carlisle to the year 2039, they are teenagers who have just met in school. All these stories are interwoven, and the book moves fluidly between incarnations. Accounts are interspersed with data from an unknowable narrator, who watches how the two interact and determines their chances of succeeding. Early on, it is sometimes confusing to determine whose stories are being told. Dates at the beginning of each new section are an important and helpful feature. As each story is established, interlacing becomes more fluid; the narrative weaves in and out, connecting pieces as it goes. The couple have a fun, flirtatious bond throughout. As scientists, their notes are sarcastic and joking, though their love remains clear underneath the teasing words. That relationship is the most comfortable of the book; in other lifetimes, they are more absorbed with getting to know each other. Though each incarnation is vastly different from those previous, character personalities remain consistent—an argument of nature versus nurture. Though Katherine is a highborn lady in one life and a poor orphan in the next, her tendency to find her own jokes funny remains the same. 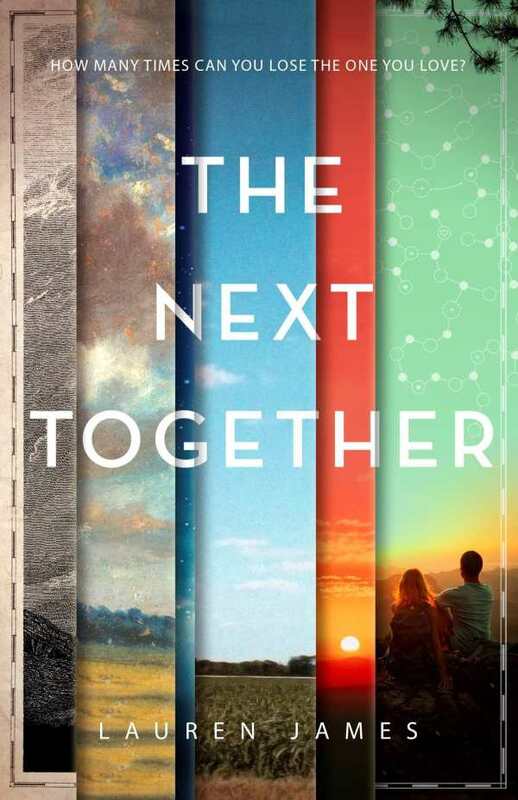 The Next Together is a heartbreaking tale of love, loss, greater good, and sacrifice.